Okay, I’m just going to just begin this review by saying this. If you have an iPhone 6 Plus, just go out and buy yourself an iLuv Jstyle. Yeah, I can’t think of any product that I began a review like this. 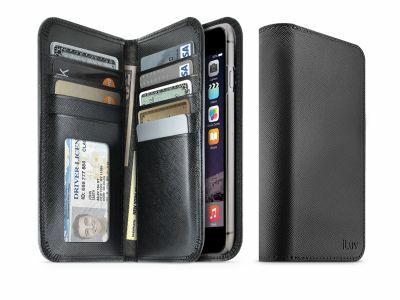 The Jstyle is made of genuine leather with a Saffiano finish, and it is a premium wallet and case for the iPhone 6 Plus. In fact, it is essentially a place for your wallet and phone, as it can store a total of eight credit cards, which has be a record for this kind of accessory. Then there is also two large side pockets as well. Well, is there anything more that I can say about a product that I just truly love? I don’t think so. You should be able to get it on the iLuv site for about $69.99.